Drinking water helps prevent gum disease, which is a common condition that occurs when tartar and plaque bury bacteria deep into the spaces where the gums meet the tooth. Drinking water keeps your gums hydrated, which produces saliva that (along with the water) helps wash away bacteria that hasn’t yet taken root. The fluoride found in tap water also helps to prevent cavities, giving it a step up on bottled water. Plus, cavities more commonly happen with dry mouth – so staying hydrated is a first-line defense. Next time you’re tempted to reach for a soda with your meal or a sports drink after a workout, remember water can outperform both when it comes to your health! 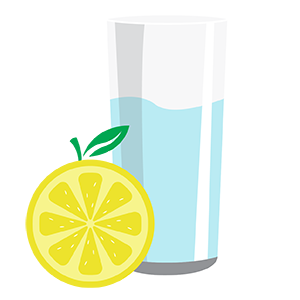 If you need ideas on how to drink more water, check out our tips here.